Multi-factor AuthenticationExtra-sensitive data. Extra-robust protection. If your business relies on highly sensitive data, you need to protect it with more than just your users’ passwords. 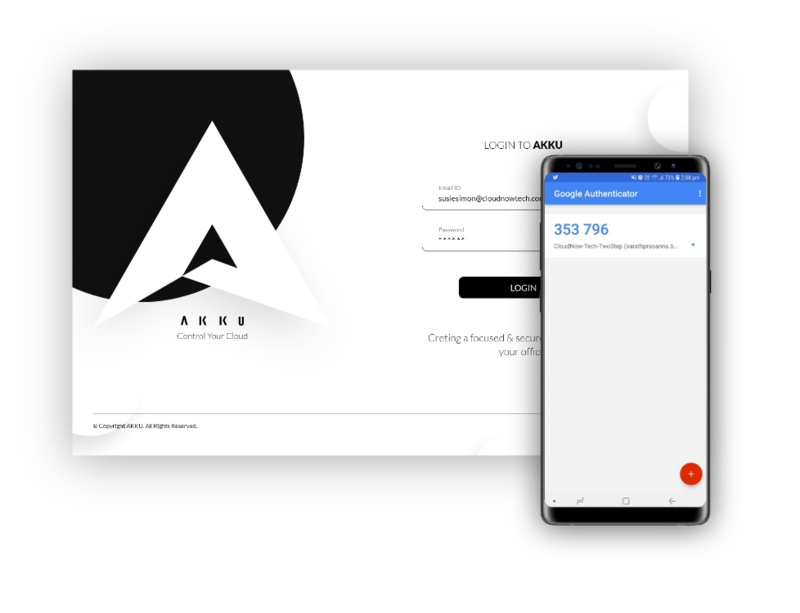 Akku’s Multi-factor Authentication (MFA) functionality does just that, integrating a powerful additional layer of security into the sign-in process. When data security is your biggest concern, go beyond passwords with MFA security from Akku. An MFA is usually difficult to set up and expensive to streamline when an organization uses multiple applications from different service providers - bringing them all on to a common platform can be a major hassle. Akku greatly simplifies this process by playing the role of an identity provider (IdP) across your organization’s applications. 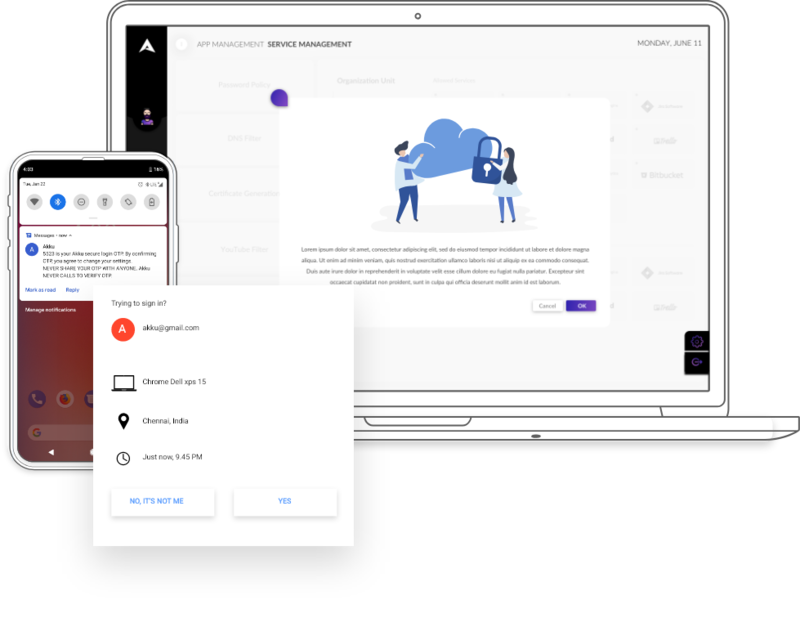 With Akku as your IdP, the seamless implementation of a two-factor authentication (2FA) or a multi-factor authentication (MFA) function across all your organization’s applications is not just easy to implement, but also simple for users to use, with a range of convenient options to choose from.